Two important DEFRA consultations closed early April. The government plans to abandon any 'brake' on expanding the cull to new areas along with permitting culling in low risk areas 'on demand' if there is an outbreak of bTB. It is gradually legalising the widespread, prolonged slaughter of England's badger population on the grounds of 'hoping' to improve disease control. Click the map to read her blog about what the proposals mean. Over the past 5 years, 35,000 or more badgers have been needlessly shot under licence across England, as part of the government’s strategy for reducing bovine TB in cattle. The vast majority of these badgers (over 85%) are likely to perfectly healthy and TB free and there is little evidence that the tiny proportion that are TB infected pose any major risk of disease transmission to badgers or cattle. After five years of culls that are estimated to have cost the tax payer over £50 million, the government has failed to provide any reliable evidence that the indiscriminate cruel slaughter of tens of thousands of badgers is having any significant contribution on lowering the level of bovine TB in cattle in or around the cull zones. 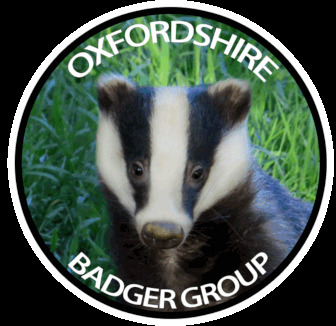 Natural England is considering extending the Cull to Oxfordshire and other areas with low BTB rates. It will be open season. In the cull zones shooters are licenced to kill 70% of the badger population. Almost all will be healthy. Last year our government culled badgers on an industrial scale. They are gone from woods, banks and meadows in a widening series of brutal bloody countryside purges. Policy based on dubious science and decisions that undermine the law and help encourage all manner of brutal wildlife crime. The government seems hell bent on rolling the cull out to more and more regions every year. There is no scientific justification and the costs - to badgers, people, communities and to taxpayers are horrendous. Badgers are being needlessly demonised and crime is rising as a direct result. We join the Badger Trust, Team Badger, leading scientists and majority of the public in opposing the cull. The badger cull is a political issue. There is a powerful lobby wanting to weaken wildlife and environmental regulation and place control in the hands of landowners and the farming industry. Badgers protected status makes them a very inconvenient animal. They can delay building works by up to 6 months. A property developer leads at Natural England. The Minister in charge of DEFRA is committed to deregulation and has volunteered to accept funding cuts. So it is no surprise that property developers, the National Farmers Union (NFU) and Countryside Alliance are - literally - calling the shots. Thousands of 'ordinary' people are already taking part in organised, peaceful effective opposition. Increasing this effort is the best and only rational response to any increase in culling. We can't save badgers if we don't know where they are. The cull will almost certainly come to Oxfordshire in 2018. The good news is that the best way to prepare is to update and verify our sett records. That's business as usual for a badger group. The bad news is that we have records going back 40 years, nearly 1000 setts to check out and one year to do it. Do you have time to go and check setts in your area? Can you spare a moment to report sightings to us? Will you write to your MP and help keep badgers a political hot potato? Volunteer. Report. Lobby. March. Do something. The cull has ended for this year. The important work of sett mapping continues.